Cloud Object Storage makes it possible to store practically limitless amounts of data, simply and cost effectively. It is commonly used for data archiving and backup, web and mobile applications, and as scalable, persistent storage for analytics. IBM Cloud Object Storage provides durable, secure and cost-effective cloud storage for a variety of backup needs. Protect the data in your datacenter by backing it up to IBM Cloud Object Storage to replace tape, streamline backup operations, and simplify archival processes. Most major backup software vendors integrate directly with IBM Cloud Object Storage and offer turnkey data backup solutions. For data in the cloud, leverage the cloud-native capabilities and the low cost of Cloud Object Storage for an automated, application-consistent backup and recovery solution. 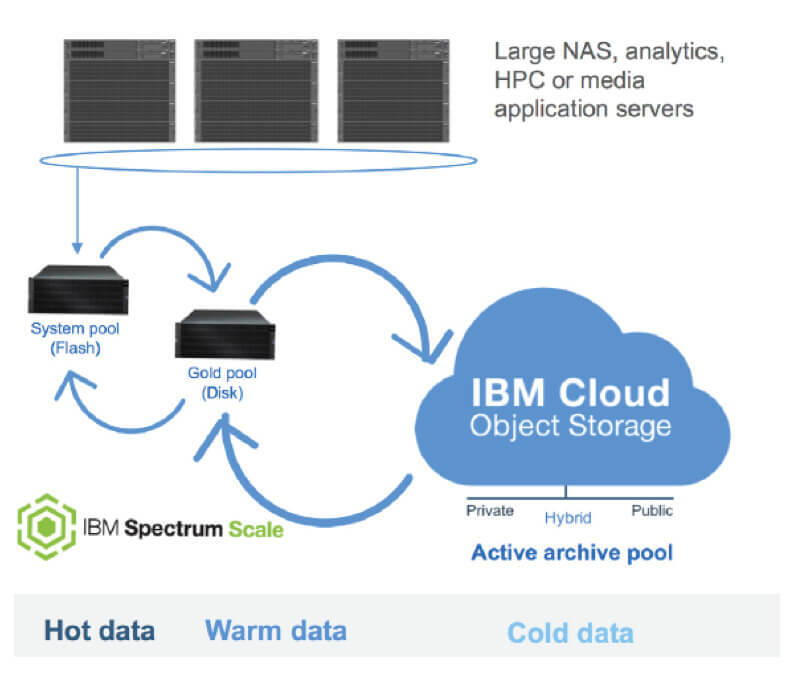 IBM Cloud Object Storage can scale as required for today’s ever-increasing backup demands and grow cost-effectively to meet new business requirements across the enterprise. Solution #2 Archive with long term retention.